The experience of studying abroad in Australia is something special. You learn and get qualified while enjoying a great, different lifestyle. 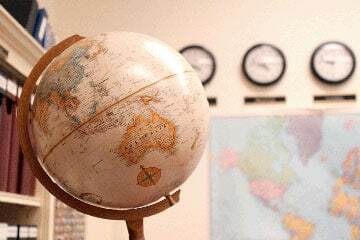 Australia has a quality education system that produces globally recognised qualifications. Aussie universities welcome 300,000+ international students each year. Should you study abroad in Australia? If you can afford to, absolutely. Australia is one of the more costly study destinations. But it may be the best place in the world to study abroad. Here are 5 advantages of studying in Australia. Australia is one of the top countries for enjoying the outdoors. For a start, there is plenty of space. Australia is a large continent but home to just 23 million people. Although Australia's people and universities tend to locate in cities, usually you are just a short drive away from the bush or the beach. 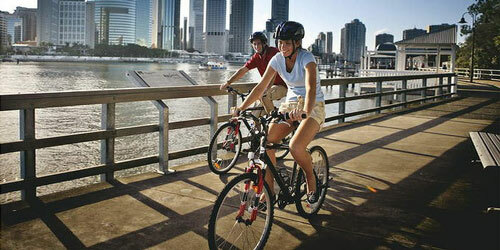 Australian cities also have plenty of parks, reserves, cycling paths and sports facilities. Experiencing the Australian outdoors is also made easy by the climate. 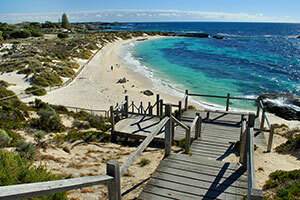 Most of the populated areas of Australian could be described as sunny as warm. 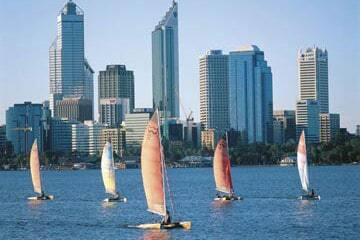 There are northern tropical and subtropical cities, extending from Queensland to northern New South Wales. The middle belt – from Perth in Western Australia through South Australia and inland New South Wales – is more Mediterranean, with mild winters and warm, dry summers. Sydney's climate is mild and sunny. Victoria and Tasmania in the south have the classic 4 seasons. 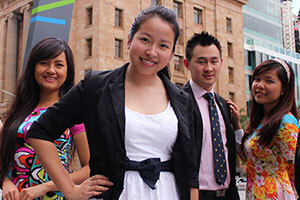 Australia is a diverse, multicultural country where international students easily fit in. Contemporary Australia was built by migrants and it continues to welcome foreign visitors, migrants and students in large numbers. You can see global influences in Australian cuisine. All across the country in the major shopping and dining areas there are restaurants with Chinese, Indian, South-East Asian, Mediterranean and European themes (just to name a few). The proportion of Australians born overseas is almost the same as the proportion of international students on campus – just under 30%. While Australian society has English roots, it is a place where people from all over the world come together. 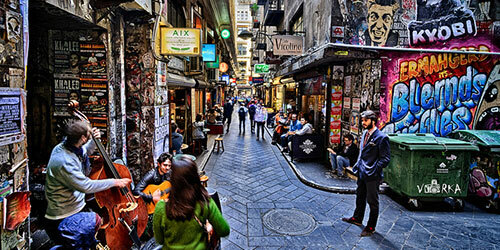 You may not know that study abroad programs are a huge part of the Australian university system. Every Australian university welcomes international students. There are literally thousands of international students on every major campus around the country. 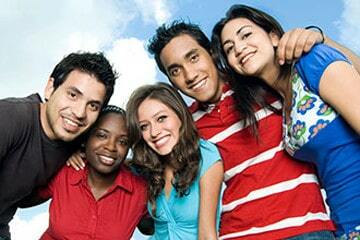 The universities have enormous experience helping international students enroll and settle into a study program. This is right through the process: course selection and applications, advice about travel and visas, help to arrange accommodation, student orientation, and everyday international-student services. Although each student has a unique experience studying in Australia, the process for doing it is streamlined. University education in Australia is quite different from most other countries. It really helps you develop into a more independent person who thinks for oneself. Course grades at Australian universities usually depend a great deal on mid and final exams. You don't have to follow a tight study schedule during term. At any given time, you can choose how much effort to put in and how to approach learning. University culture in Australia is also about freedom and independence. Students tend not to rely on universities for accommodation and entertainment. They normally like to organise such things for themselves. That said, the universities are experienced at helping international students to settle in. 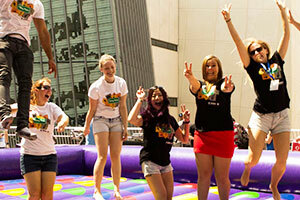 Australian universities give you the opportunity to set up whatever kind of student lifestyle you want. Academic programs generally leave free time to get involved with things other than studying. Working part-time is one option. Australian student visas allow international students to work up to 20 hours per week during term and full-time during breaks. But there are also plenty of fun things to do. Every major university has numerous clubs and societies to join. The best time to sign up is during orientation week (the week preceding classes), which is normally in February. Many of the clubs are sports clubs, reflecting Australia's passion for sport. There is the opportunity for some serious competition, though most students get involved for the social side as much as anything else. Universities also put on student events throughout the year (exams period aside). They are often organised by the student union and may include concerts, festivals and competitions. Thanks to the author’s information, in order to study in the Australia, UK, US, Canada, New Zealand … you need to have good English, accompanied by accredited English certificates IELTS, Cambridge … to achieve high scores in these English exams, many young people now choose to study in the Philippines to learn English, you can see more about studying in the Philippines. Hi, just wantеd to tell you, I loved this article. It was helpful.